Party season is creeping in and we couldn’t be happier about it! We love hosting your festive occasions and we have the perfect atmosphere and set-up for your gathering. Whether it’s a get-together with friends, family, or colleagues, you’ll have a wonderful time celebrating at Cucina Rustica. The nights are drawing in, the Christmas lights will soon be up and before you know it, the Christmas festivities will be in full swing. We’ve already welcomed the festivities at Cucina Rustica! Our Christmas Menu is live on our website and will be available throughout December. But have you ever wondered what a traditional Christmas is like in Italy? Keep reading to find out! What makes the ultimate romantic meal? Enjoying delicious, authentic Italian food with a loved one at Cucina Rustica in the scenic, Georgian St Paul’s Square sounds about right to us! Renowned for some of the best desserts, Italians know how to make a pudding! In Italy, ‘il dolce’ is not only a sweet way to end a lunch or dinner, it’s also the way many Italians start their day. Sweet treats and desserts are a part of the history of Italian food. And even for the most disciplined traveller, it is hard to say no to all the delicious temptations that await once in Italy. You will find that every bar, café or patisserie will offer an endless display of cookies, chocolates or some other sweet enticement. Italian desserts range in flavour from slightly bitter to sweet – usually not overwhelmingly sweet, and they are often best served with wine. We serve up great modern Italian food, but we’re all about the cocktails, too! Enjoyed out on our terrace on a sunny day against the beautiful backdrop of St Paul’s Church in the Jewellery Quarter, or in our stylish restaurant, you’ll love these fine Italian cocktails at Cucina Rustica. 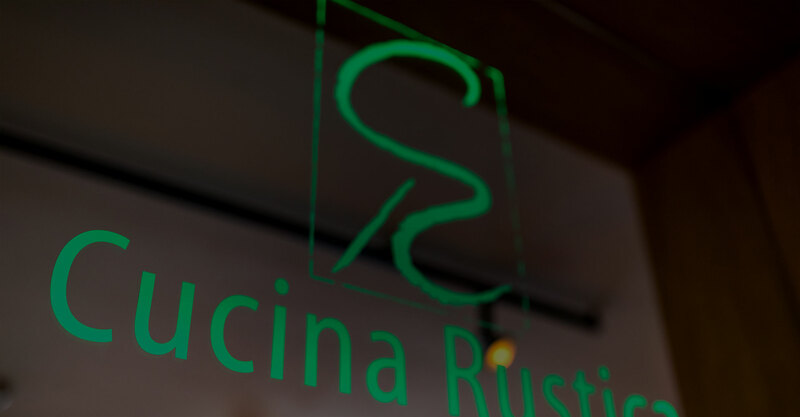 If you’re looking for the perfect Italian pizza in Birmingham, look no further than Cucina Rustica! From dough to fresh, hot disk topped with goodness, we make it all ourselves with lots of passion and fresh ingredients. There’s no better way to take advantage of great weather than to dine al fresco. To us, Summer is all about enjoying delicious food and drink whilst soaking up the sun in a beautiful location. With one of Birmingham’s prettiest spots as our home, Cucina Rustica is the perfect restaurant for an al fresco lunch or dinner.